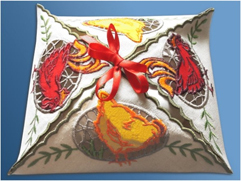 This lovely applique set with hens & roosters is great for various kitchen items, and is perfect for making Easter projects. 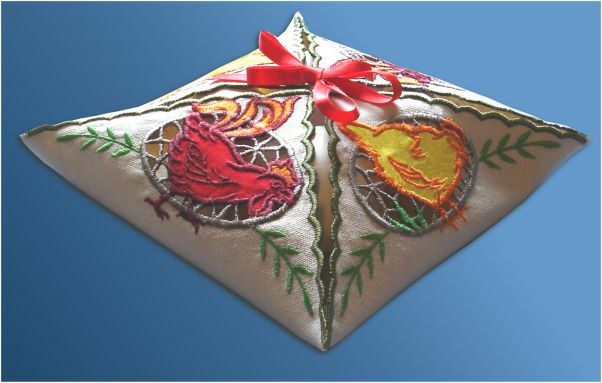 These designs can also be used with great success for decorating baby stuffs - wall-hanging quilts, diapers bags etc. 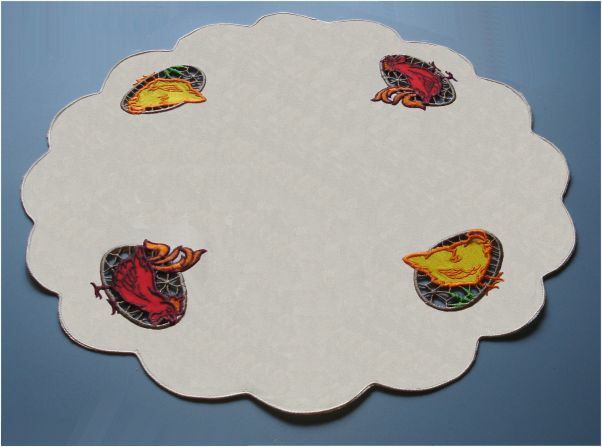 As you can see, the designs include an element of applique, lace and even cutwork (on corner edges). 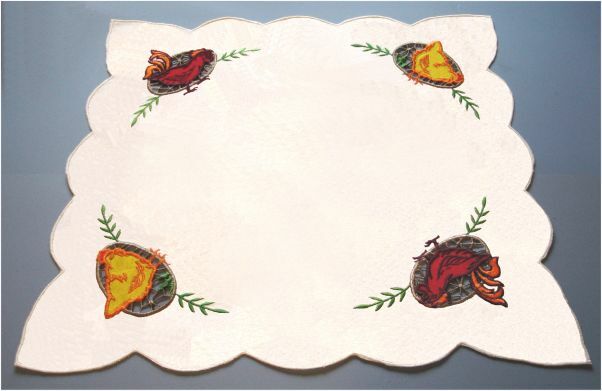 You may use them with or without the applique fabric - it's up to you. A detailed project instruction is included together with the designs, showing how to make a beautiful Easter eggs envelope with "Corner Edge" designs. 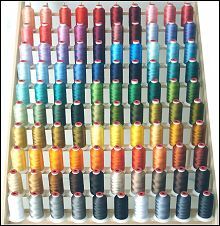 You may use various fabrics. 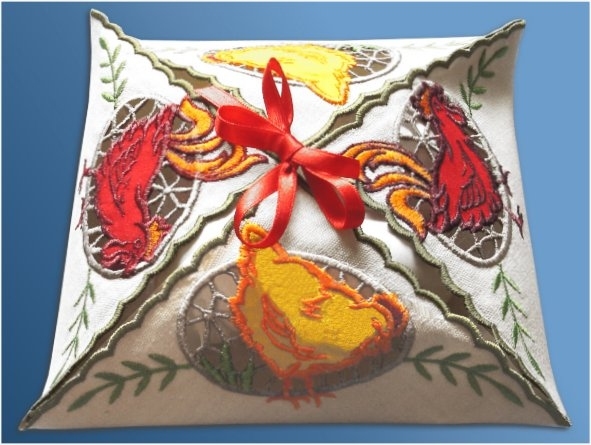 Detailed applique instructions are included. and temporary adhesive spray in stash. Size: 2.86 " x 3.17 "
Size: 3.01 " x 2.52 "
Size: 3.50 " x 6.96 "
Size: 2.52 " x 5.82 "